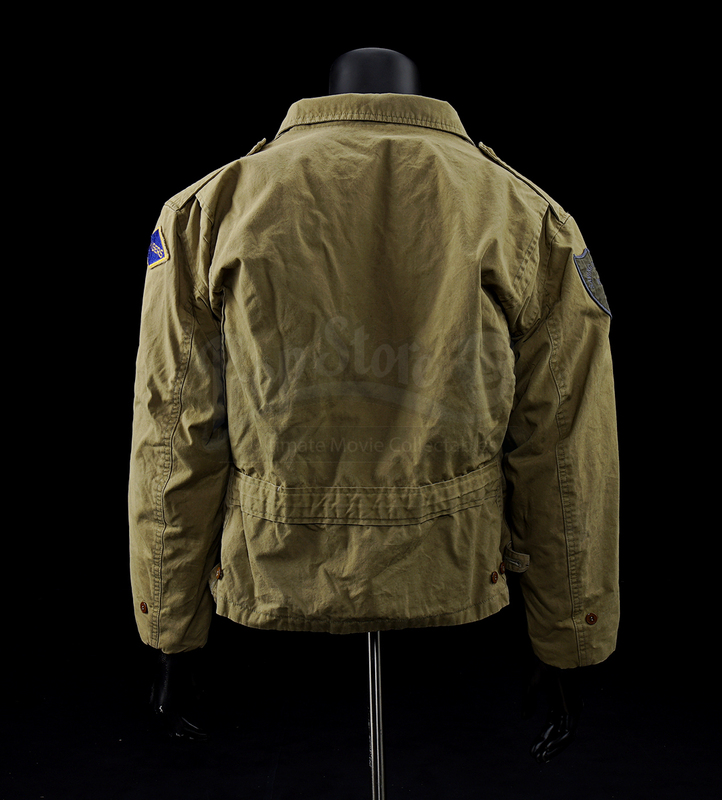 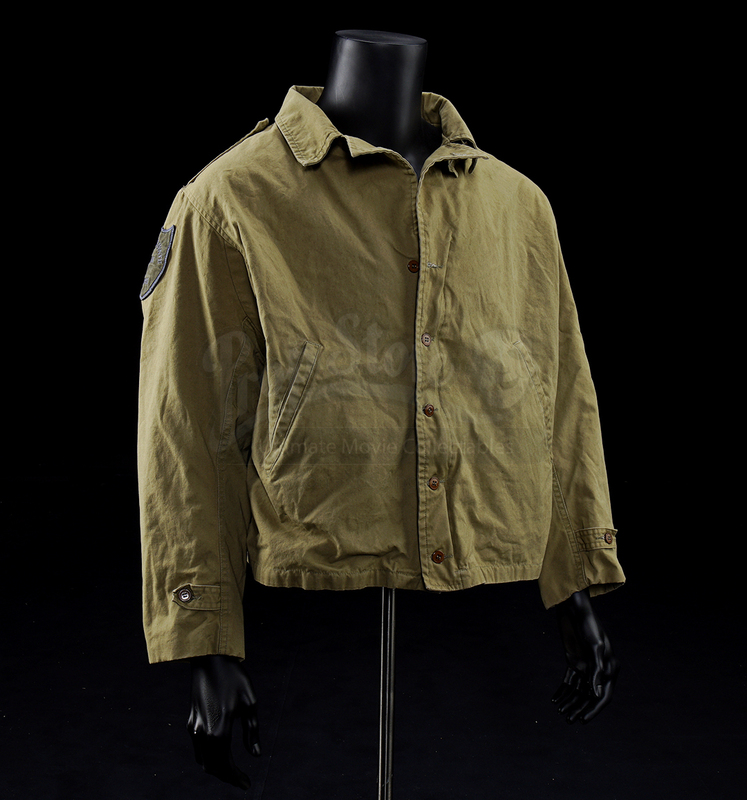 A zip-up crew jacket from the Steven Spielberg war epic Saving Private Ryan. 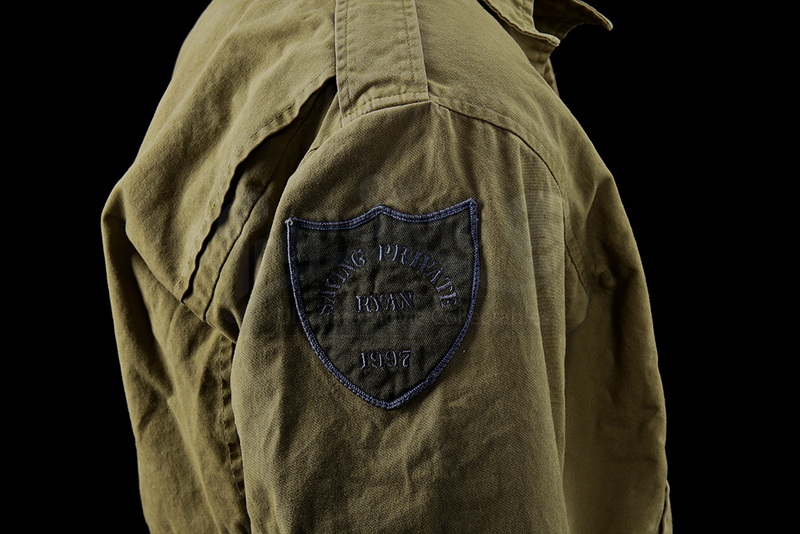 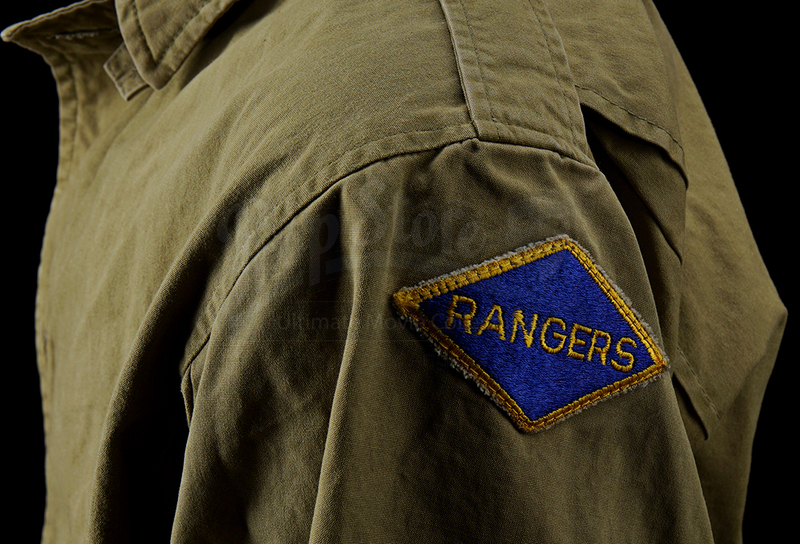 The khaki-colored jacket features a patch on one shoulder with the name of the film and release date and a patch reading 'Rangers' on the other. 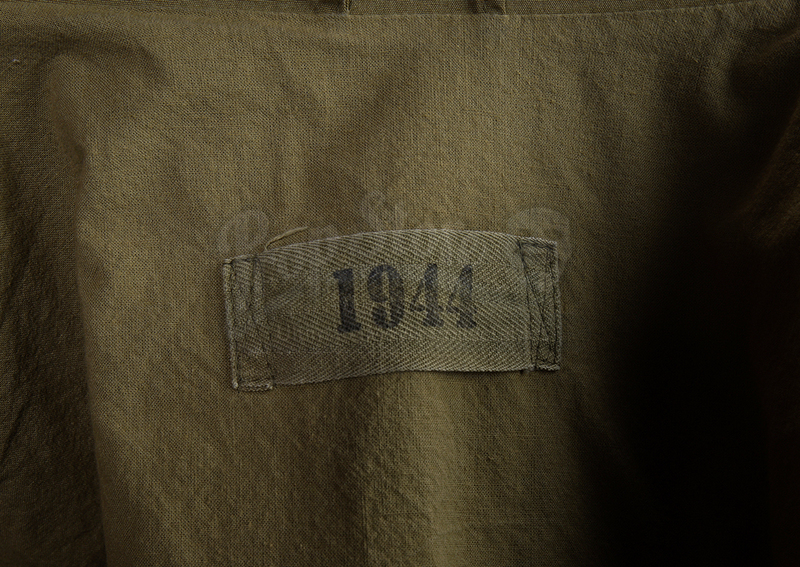 There is also a label under the interior collar which has '1944' printed on it. 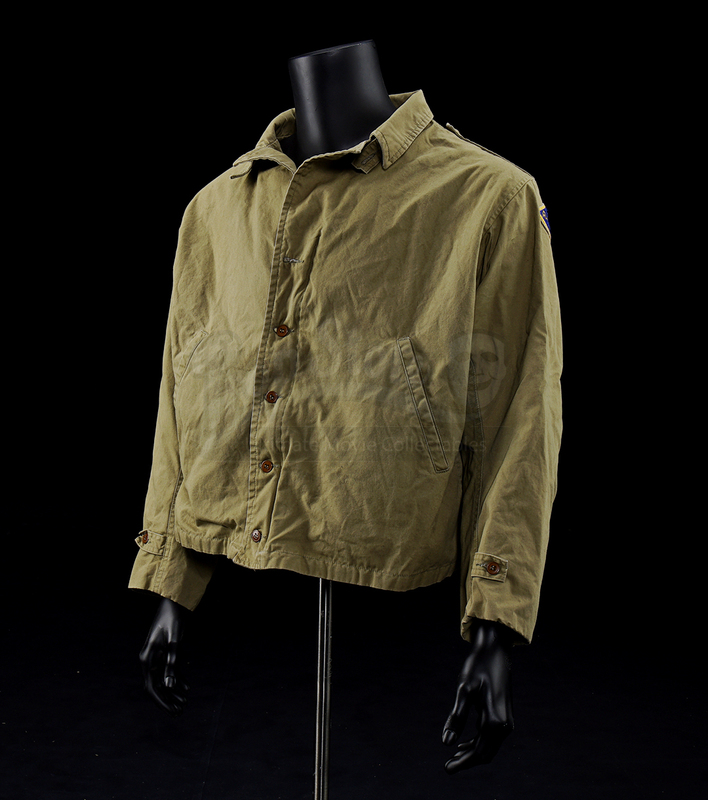 The jacket is made of thick cotton and includes brown buttons as well as a zipper.